Friday has arrived again! I joked with my co-workers last week that this week would seem especially long because it was a full five day work week after we’d had a short (even shorter than planned courtesy of snow) work week last week. Somehow this week seems like it flew by even faster than last week – and I find that almost always seems to be the case! So – on this lovely Friday – one of the best days of the week…in my opinion…here are just a few things that are on my mind! One. 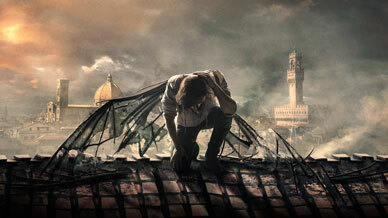 DaVinci’s Demons – I stumbled onto this show about two years ago during a Starz free preview weekend and was able to DVR the whole first season before the weekend was up… I blew through the second season on my tablet when I had a friend’s access to Starz and earlier this week it hit me that I now HAVE my very own Starz subscription through Amazon Prime and the third and final season was available to watch. It’s been so long since I saw the first two seasons…so I just started over at the beginning and it’s just as good as I remember. The show follows the life of Leonardo DaVinci in Florence; he serves as a weapons creator for the House of Medici, but also spends much of his time inventing, creating, painting and generally being a genius. The show is obviously historical fiction and so I’m certain 85% of it is completely made up but it’s 100% fascinating to watch the cogs of DaVinci’s brain turn as he creates flying machines and weapons of war, pushes the boundaries of medieval medicine and makes history with each brush stroke. Two. Nationals Spring Training – Of course there is something Nationals related on this post, ha-ha! There are 38 days and counting until Opening Day and I’ve been watching Twitter/Instagram/Facebook with a semi-religious zeal to see all things Nationals. I don’t know what our chances are this year…some sports news outlets seem to have us marked to fail and others think we could surprise everyone and blow away the competition. Obviously the hope is that the season unfolds with the latter and not the former but either way, I’m just ready for Nationals baseball! Also – I’m a fruitcake. I know. I said “we” like I’m somehow involved in the actual baseball team’s success or failure. Ha-ha! 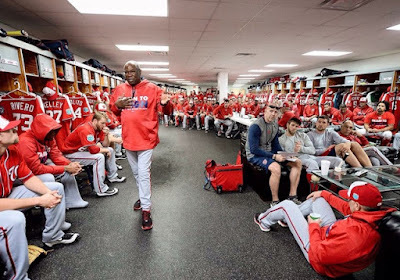 Dusty Baker addressing the 2016 team for the first time. Three. Snow and Sun – As in, that’s the weird weather I’ve been dealing with this week! Yesterday afternoon as I was driving back to the office from running errands, I could have sworn I kept seeing snowflakes! Sure enough…even though the sun kept peeking through the clouds, snow was lazily drifting down from above. This morning when I went outside to walk the dog, yet again there were little fluffs of snow falling gently down…and the closer I got to work, the heavier it got…all while the sun was shining in a bright blue sky! Weather is so weird. Four. Weekend Movies – I’m going to the movies two days in a row and I could not be more thrilled! I guess some people are “movie” people and some people aren’t – I am definitely the former. I’m going to see Deadpool on Saturday with my friend Jennie; we try to make it our goal to see each and every Marvel movie and so we are going to cross Deadpool off our list on Saturday. 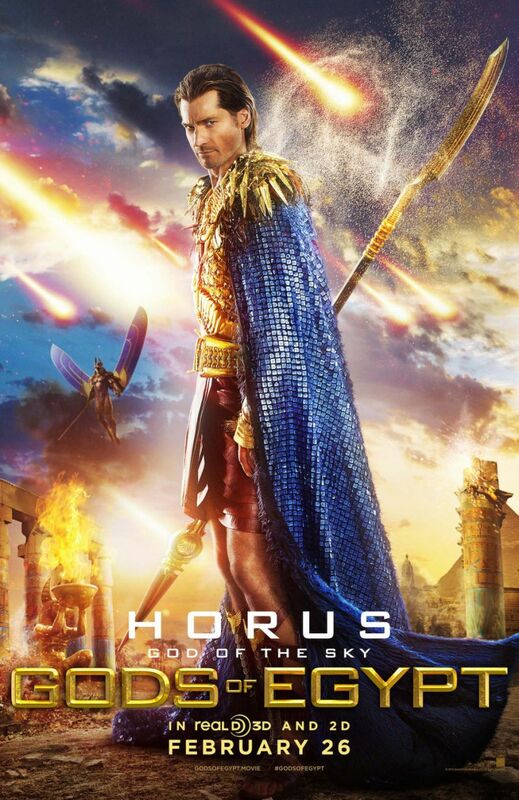 On Sunday afternoon I’m going to see Gods of Egypt…which has already been in a firestorm because of Hollywood “whitewashing”; a film about ancient Egyptians that are all being played by white actors…and the film has not received great reviews either. Five. Fitness – I did better this week! Walking and I even committed myself to the elliptical on days when it was too cold to be outside. 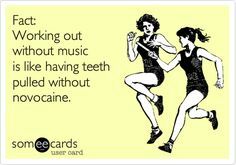 Having done so, I still cannot wait until the weather changes a bit and I can stick to walking/jogging outside every day! It’s just so much more enjoyable than going around and around on the elliptical… My fitness goal for the next couple weeks (daylight savings time is March 13th) is to just focus on getting in some exercise whether it be outside or in… Hopefully by mid-March, I can just get outside every day! This happened a couple weeks ago. Nightmare. So – that’s what I’m thinking about this Friday. What are you thinking about? Do you have five things on your mind that you’d love to share? Feel free to do so…and then go to one of the blogs listed on the button above and link up!